Hubbard are committed to developing new technologies with a view of reducing the whole of life costs of ownership of our products, to increase product efficiency and produce truly green products. Whilst striving to reduce carbon emissions and refrigeration primary carbon footprint, Hubbard always maintains their focus on delivering reliable, fuel-efficient products with accurate and stable temperature control. At its UK headquarters at Ipswich, Hubbard has invested heavily in a new manufacturing plant, new business computer operating systems and a new production line for static equipment to maximise efficiencies and offer green solutions. Importantly, Hubbard is currently investing in a programme of Research and Development for Clean Technology – developing products that deliver value using limited or zero non-renewable resources and which create significantly less waste than conventional offerings. Hubbard is working in collaboration with other European suppliers, UK high street retailers and drawing on academic skills from Universities in the UK and abroad, to develop unique solutions. Hubbard also strives to use natural resources more efficiently and productively, cutting or eliminating pollution and wastes and delivering superior performance compared with traditional solutions. We have set ourselves strenuous targets and believe that what we achieve now will have a significant legacy not only for Hubbard, but for our industry in general. Hubbard has invested significantly in reducing the environmental impact of its products since 2000 and it is now one of the major suppliers of Carbon Trust, Energy Technology Product (ETP) listed, Cellar Cooling Equipment. 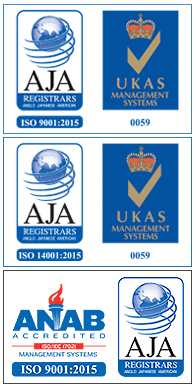 As the first manufacturer and supplier to deliver fully qualifying equipment in 2005, Hubbard prides itself on its reputation as a cost effective and reliable partner for the provision of refrigeration solutions. 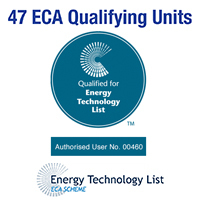 Premium R407c customers can claim full capital allowances for purchase and installation costs against their qualifying year tax assessment through the Enhanced Capital Allowance (ECA) scheme, designed to encourage UK businesses to reduce carbon emissions, which contribute to climate change, by purchasing Carbon Trust approved energy-saving equipment. The Hubbard premium R407c range caters to a wide range of cellar configurations from 10mі to 210m3. With an overall simplicity of design combined with top quality components the Premium range offers low servicing and maintenance costs, providing exceptional long-term value for money, as well as reduced noise levels for environmental awareness. Further enhancing the popularity of the range is the flexibility provided with both cooling and heating as standard. Hubbard provides low-noise solutions both in the commercial and transport refrigeration sectors. Hubbard, are a leading supplier of compact refrigeration and cooling systems to the forecourt, convenience, supermarket and retail sectors, offering maximum efficiency with minimum environmental and social impacts. Changing lifestyles have led to rapid growth in the Retail and Convenience Store sector and forecourt retailing, with sites typically trading long hours and many trading 24 hours. Many convenience stores are located in highly populated urban areas and so it is critical that refrigeration systems are low noise. With forecourt and convenience store developments coming under ever more scrutiny by planning and environmental authorities the requirement for low environmental impact solutions are becoming more and more critical to the success of planning applications and long term profitability. At Hubbard we take customer comment very seriously, working closely with convenience and other retail store developers we take their concerns on board at the earliest stages of planning, which is why we have such a successful and proven track record within the sector. Low noise solutions are equally as important in many transport refrigeration applications, particularly for delivery vehicles working in residential areas. It is increasingly becoming more commercially viable for companies to deliver at night when there is less traffic and journey times are quicker. 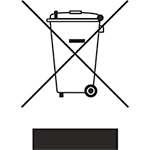 However, in order to do so, noise considerations must be taken into account. Hubbard understands that low noise levels for urban deliveries is a key consideration, and has developed a number of low noise solutions for all types of vehicles. A prime example of Hubbard’s technological advances in noise reduction is their Europa under mount unit, which offers just 54db @ 10m – a sector best! The Europa’s high efficiency scroll compressor delivers a quieter, more fuel-efficient performance for accurate and stable temperature control and additionally provides up to 50% fuel saving, up to 50% reduced CO2 emissions and up to 50% reduced refrigeration primary carbon footprint. The fuel and emissions saving Europa consumes just 1.5 – 2 litres of fuel per hour.